Thanks to Da Realist 1, I too, read this speech each year. What is most fascinating to me about this speech is the structure in which it is delivered. It has to be one of the most cleverly written speeches I have ever read. Douglass begins speaking in a very humble manner. He tells his audience, who includes the President of the United States, Millard Fillmore and other white dignitaries that, he doesn’t know how he, an ex-slave, will be able to deliver a speech to a crowd such as that. The irony in the statement is that he had given speeches to many in that crowd before and to a crowd that size in the same arena. It became clear to me that, not only was he was stroking the egos of the white men in the crowd, but that he had much trepidation about delivering this particular speech to this crowd. And shouldn’t he, an ex-slave feel some kind of way about delivering a speech about freedom and independence to a crowd of white men who either participated in the institution of slavery by owning slaves or supporting the idea of its existence, or to men who sat idly by while black men, women, and children in their nation were treated as animals? Anyway, just as the white men in the crowd had become comfortable with the way Douglass engaged them, he delivers an eloquent “smack down.” Douglass, proceeds to talk about independence and freedom by using the pronoun, “you.” “Your independence.” “Your freedom.” He tells his audience that the the Fourth of July belongs to them, not him because of the great shame that America has looming over them, in continuing to enslave his brethren. So, we have shared some of our thoughts on the speech, but we want to know what our 2 Dope readers think. Let us know! This entry was posted in Black History, Civil Rights, language & words and tagged 2 Dope Sistahs, Christianity, Frederick Douglass, Independence Day by Da Realist 1. Bookmark the permalink. You’re spot on Hype 1. I look at his picture and think, There was not a humble bone in his body. But he knew how to work a crowd. Hi, Da Realist. 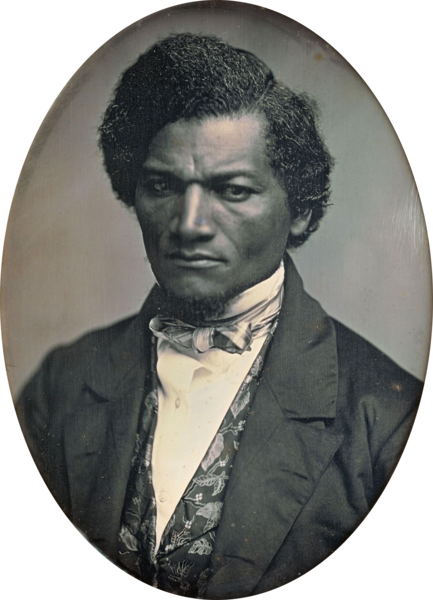 I liked your comment, “Now you know what we historians do for fun.” I appreciated the way you summarized Douglass’s speech and mixed in your own thoughts.